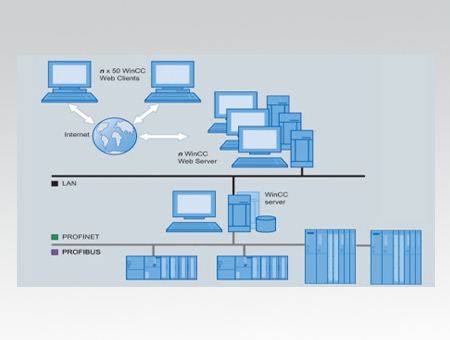 The WinCC basic software is the core of an integrated system comprising WinCC, WinCC options and WinCC Add-ons, all designed to build up a solution tailored to your specific requirements. The basic software itself represents a powerful, universally applicable process visualization system that offers all features of a sophisticated HMI Software. In addition to WinCC Clients, WinCC Server can now also be used with WinCC V7.0 SP2 under VMware ESXi, and engineering stations under VMware Workstation resp. VMware Player.This means that complex Client/Server structures as well as single-user systems can be configured with virtual environments.